I should really call this feature Japan’s Awesome Food, because once I finished with Konnyaku, Oden, Natto and Mentaiko, it’s all been amazing! 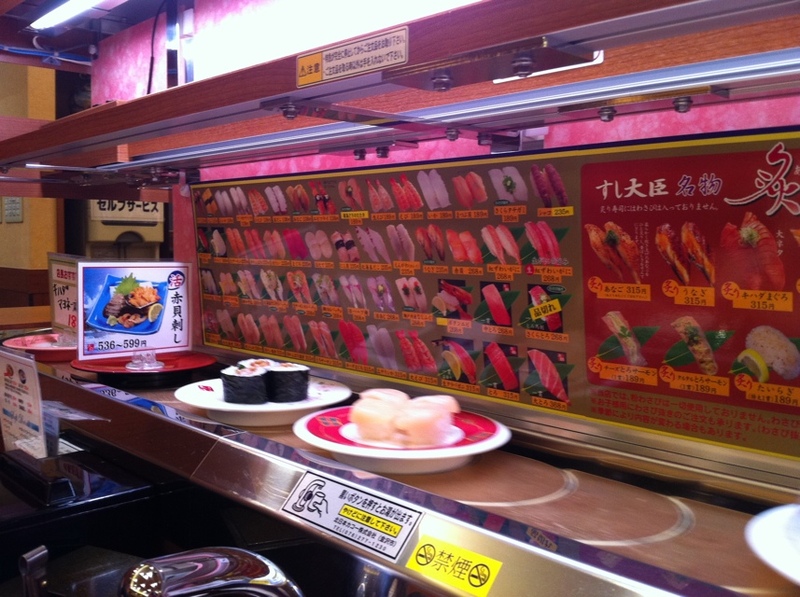 Especially amazing is Kaiten Sushi – conveyor belt sushi. There is a restaurant in almost every town. There is no language barrier, because you pick what you like off the conveyor. And each plate usually only costs about $1! Delicious, cheap, fast and easy, I will miss it when I move back to Canada. Mmm.. It makes me hungry too. 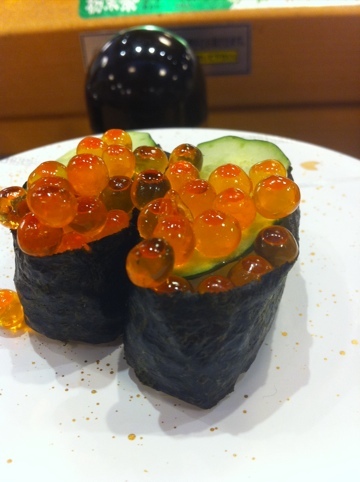 I’m at school and wishing for some sushi right now! Wow! I would have a ton of that right now:) When are you moving back to Canada? Thanks! 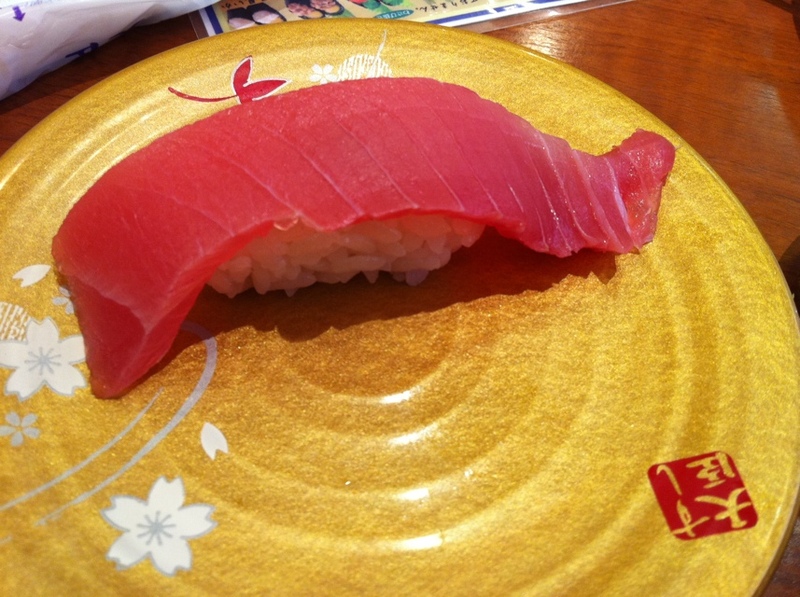 We are leaving Japan in August, and I think I will miss the food most of all. Luckily, we are doing some travelling before returning to Canada, so lots more interesting food to try.